Home / All TV Shows / The Governor & J.J. When will be The Governor & J.J. next episode air date? Is The Governor & J.J. renewed or cancelled? Where to countdown The Governor & J.J. air dates? Is The Governor & J.J. worth watching? Dan Dailey starred in this CBS comedy as William Drinkwater, the widowed governor of Kansas, who had to deal not just with the business of the state but with the antics of his free-spirited daughter, J. J. (played by Julie Sommars). 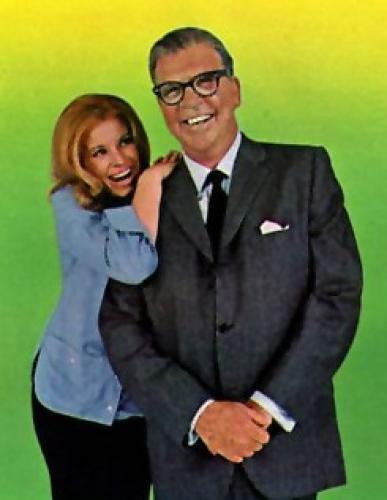 The series lasted for a season and a half and is best remembered today as the show that was dropped from the CBS line-up in order to make room for All in the Family. EpisoDate.com is your TV show guide to Countdown The Governor & J.J. Episode Air Dates and to stay in touch with The Governor & J.J. next episode Air Date and your others favorite TV Shows. Add the shows you like to a "Watchlist" and let the site take it from there.